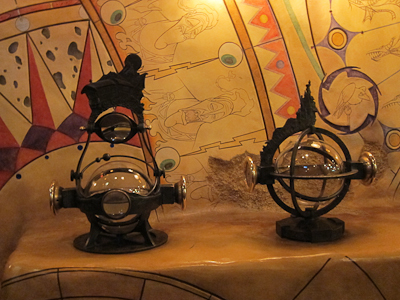 Over in the Disney Animation building, home of Turtle Talk with Crush, is the Sorcerer’s Workshop. 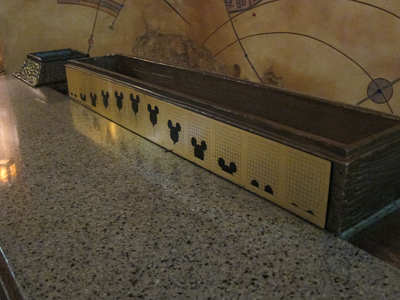 Now lest you missed it before, I really think the Animation Building is a hidden gem of the Mouse-Next-Door. Along with Monsters, Inc. 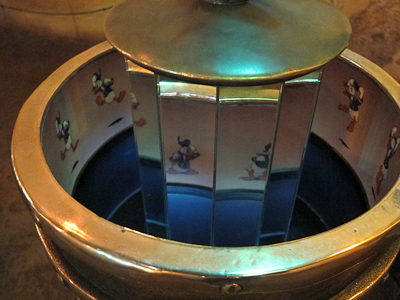 The Sorcerer’s Workshop is really a tribute to the zoetrope, and a place to draw your own animation. That animates. If you’re good at it. 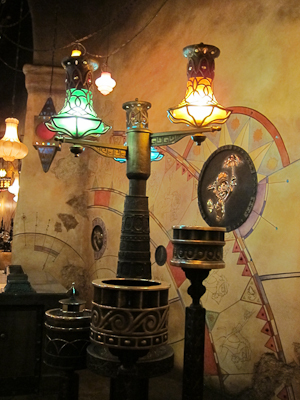 The room is like this extremely awesome, sheltered area with cool wall decorations and spinning thingies everywhere. It’s kind of like Indiana Jones meets Awesome. If you know what I mean. The wall art is very cool. The various zoetropes demonstrate different optical illusions to create animation. For example, just look in the mirrors for Donald to get all huffy about something. Dude has anger issues or something. Perhaps Donald should try some meditation? 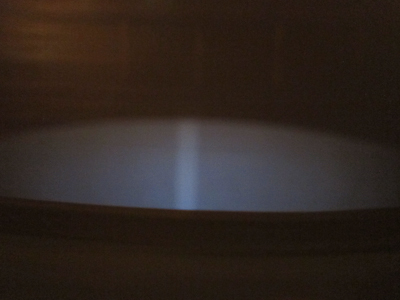 When you spin it, it combines two images into one. 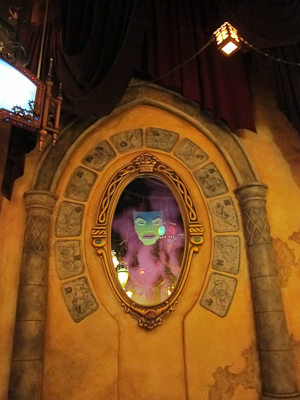 For example, this is Gaston admiring himself in the mirror. 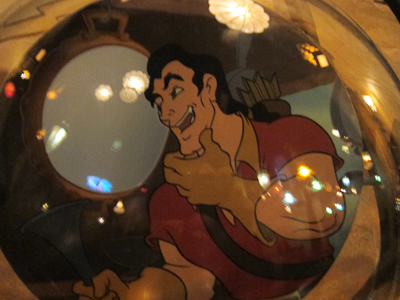 No one's got a swell cleft in his chin like Gaston! And inside that box are long strips of paper and pencils–the miniature kind, like you get at a golf course if you happen to golf–and you lay them out along the guide and draw your own comic strip, as it were. 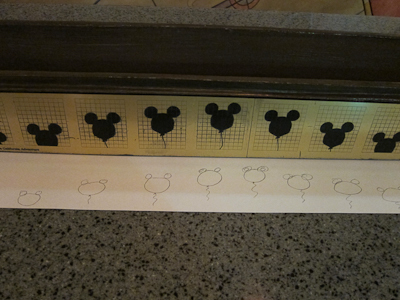 The Mickey balloon is a guide, although of course you can draw whatever you like. And then you give it a spin! 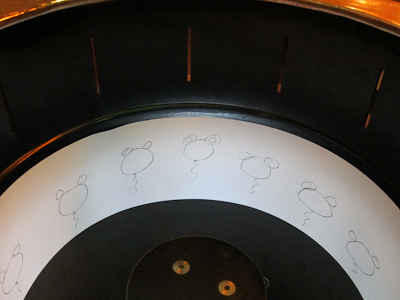 As you can clearly see, by looking through the slots, my Mickey balloon takes flight! Or it’s supposed to anyway. The picture isn’t very good. So let’s just pretend that it worked,okay? 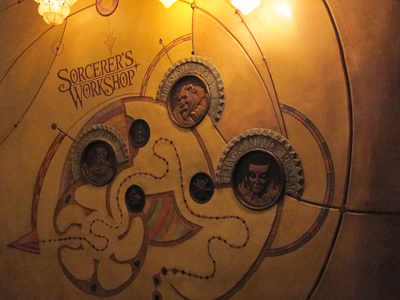 The Sorcerer’s Workshop is especially good for elementary school-age and up kids experimenting with animation. 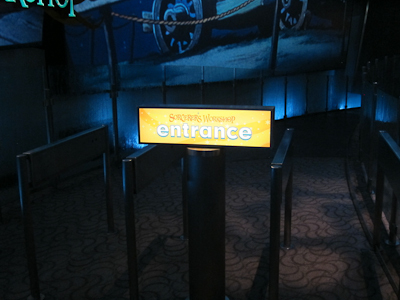 Who knows–maybe your child can get his or her Disney animation start right here on your vacation! Hi Shelby! I discovered your blog via Diana of Our City Lights, and I have been obsessively reading through your entire archive. I am from Singapore but have had the good fortune of visiting Disneyland twice, including the old MND, and one time at the MIL! (Look at me, using MYWTM terminology!) 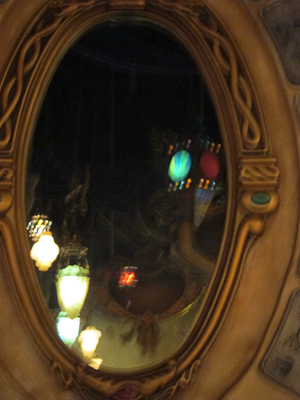 It’s been so fun finding out all the little things about Disneyland that you have been documenting in your blog. I can’t wait to get back there and see some of this little details for myself! 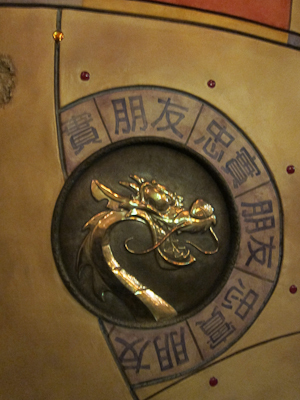 If no one has translated the characters around Mushu yet, it means Faithful Friend!